While Facebook may be gaining ground on Google in video publishing, the social network is seeing its market share of social logins cut into by the search giant. Janrain’s Q4 2014 social login report shows that while Facebook is still the dominant way people log in to websites, Google is closing in. 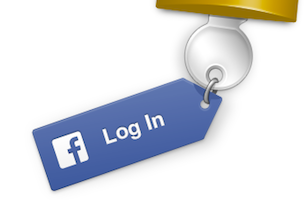 Facebook lost 3 percent of its social login market share, while Google gained 6 percent. Google is gaining on Facebook among music and consumer brand sites. What’s driving the closing gap between Facebook and Google? Across all industry verticals, Facebook’s 43% market share leads Google’s by just 3%. As we saw last quarter, Google’s ongoing moves to unify identity across many highly-utilized services helps solidify its value and ubiquity for consumers—it’s a one-stop identity to manage Gmail, Play, Android, YouTube and Google+ accounts—so why wouldn’t consumers use it to manage accounts outside of the Google portfolio of products? We expect the numbers to get even more interesting in the next few quarters, as Facebook migrates to its new app version introducing line-by-line controls and the anonymous login option. It’s also possible that their renewed focus on consumer data privacy will help Facebook regain some of the market share it lost this past quarter. Here are some other graphs from Janrain illustrating social login trends. For more, visit the blog post.